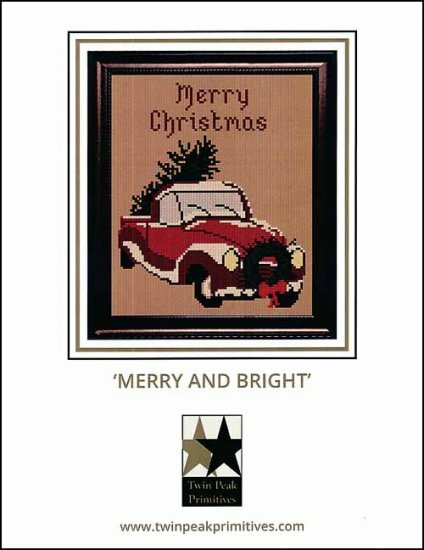 Cross stitch pattern by Twin Peak Primitives. Beep beep, we have on over-sized Christmas tree coming through! The perfect Christmas tree has been cut down & is headed home to be decorated with bright lights & delicate ornaments. The wiper blades brush the snow off of the windshield with the headlights of the truck guiding the way back home. We can't wait for Christmas! Stitch count is 81W x 98H.